Ensuring you have a nest egg for your retirement means your post-career days can be used for well-deserved rest and relaxation. To help you get the best out of your pensions, we’ve exposed 6 of the most expensive pensions mistakes you can make and how to avoid them. This may seem rather obvious but the sooner you start saving into a pension plan, the more you’ll have in your retirement income. Despite an increase in April 2017, the new state pension is still only just £159.55 per week with old state pensions rising to £122.30. The Office for National Statistics (ONS) found that the average retired household spends around £21,770 per annum. You can use this sum as a rough guide as to how much you should be putting into your pension each month to be earning a pension of at least £20,000 a year. There is no set time one should start paying into a pension, but as early as possible will pay off greatly in the long run, especially with tax advantages. The current tax relief on pensions states that for every 80p a taxpayer saves, the Government will add in 20p, rounding the total up to £1. Taxpayers at higher rates will see their 60p increased to £1 whilst additional-rate taxpayers will see their 55p topped up to £1. Although it’s easy to see one of your largest financial investments as something to see you through your retirement, this is strongly discouraged. Like with any investment, it’s highly risky to rely on any one source for a sole income. Along with this, the price of your property is very much at the whim of the market, which is often unpredictable. Not an ideal area you want to tie up a significant amount of savings into. Property also requires a lot of upkeep with costly repairs, maintenance and improvements. Many of which can’t accurately be budgeted for, especially if your retirement is a little way off. You might assume that your pension is covered by an annual management charge, but this is not always the case. Some pension providers add on a separate policy fee for ‘administration costs’. 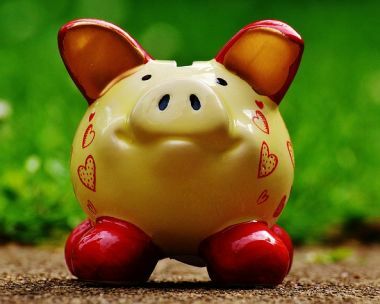 It’s not unheard of for some providers to take an amount of profit of your pension contributions, such as 2% of every payment you make into your pension. This is often on top of a management fee. If for any reason you stop making a deposit into your pension the provider may charge you an inactivity fee. These charges can be made if you’re not paying into the scheme due to job changes. Speak to an IMC financial expert to explore ways on how to minimise extra pension fees. Now more than ever, people often do not stay in the same job or with the same company throughout their working life. Because of this it’s common for people to have several pensions. If you, like many have had a few company pension schemes, try and track them down by sorting through old paperwork. This is important as you could be losing out if you have money still in underperforming pensions. You can find pension contact details on the gov.uk website. As with regularly checking your bank account statements, it’s equally as important to pay due diligence to your pension plan. This way you can evaluate if you’re on target to retire with the amount you’d envisaged. With the correct pension scheme, you can plan your retirement safe in the knowledge that your future financial requirements will be taken care of. Since 1996 our professional financial experts have offered honest and tailored advice to thousands of clients find the ideal financial solution that’s best suited to their requirements. To discover the best pension plan for you, speak to one of our financial experts today and call IMC on 020 3553 9340 or email us at info@imcfs.co.uk.